Medical marijuana has been legal in the country since 2001, but in October 2018, the majority of Canadian citizens voted to legalize the use of marijuana for any purpose. Many citizens envision the law, named the Cannabis Act, as a way to protect young people — the largest population of cannabis consumers — from unregulated cannabis use and sales. For now, the federal bill only serves as a framework on which the 13 Canadian provinces and territories can base their own regulations, including where marijuana will be sold and where it can be consumed. Under the new rule, those who reach the legal age of 18 or 19 (depending on the province) can buy cannabis oil, seeds, plants and dried cannabis from licensed producers and retailers, according to CNN. Each household is allowed to grow up to four cannabis plants in most provinces. Individuals can possess 30 grams (just over one ounce) of dried cannabis or its equivalent in public. The law explicitly prohibits selling the drug to minors; penalties for this infraction can incur up to 14 years of time in prison. Driving and working regulations were amended to adapt to the new legislation. Driving — and, for certain jobs, working — while high can lead to severe penalties. According to police are now authorized to test drivers’ saliva to determine if they are drug-impaired. Purchases of cannabis-infused foods will not be legalized until 2019. The delay will give the government time to set specific regulations regarding those products. In 2015, now Prime Minister Justin Trudeau campaigned with promises of curbing the epidemic of drug abuse and marijuana-related crime among young people. Now in 2018, this new legislation is Trudeau’s effort to keep his 2015 campaign pledge. According to estimates from Canada’s national statistics agency, Canadians consumed more than 20 grams of marijuana per person last year, spending 5.6 billion Canadian dollars (about $4.3 billion U.S. dollars) on the product. Consumers of the drug are reported to typically be 18 to 34 years old. Trudeau himself admitted to consuming the drug some five or six times, including once after joining the Parliament. On his official Twitter account the Prime Minister promised that legalization will come with “strict regulation” that keeps “profits out of the hands of criminals” and puts “protections for our kids” in place. While the sales tax will vary among provinces, the federal government “has agreed to hand over at least 75 percent of excess tax revenue to provinces for the first two years after legalization,” according to Bloomberg. The country hopes the legal sale of marijuana will generate $400 million in tax income, the New York Times reported. Large multi-brand corporations are also eyeing a share of the profits from the promising cannabis market. Since September, multiple sources have reported that Coca-Cola is toying with the idea of “nonpsychoactive cannabidiol as an ingredient in functional wellness beverages.” The company has begun conversations with the licensed Canadian producer Aurora Cannabis about developing marijuana-infused beverages, according to the BBC. Constellation Brands, the owner of Corona beer, is investing in another Canadian company, Canopy Growth, for the production of nonalcoholic cannabis-based beverages. Big licensed producers like Canopy and Aurora “have been building new facilities and ramping up production in earnest,” the BBC reported. Small-scale cannabis cultivators are likely to gain the least in the new market. According to Bloomberg, these small businesses, or “craft producers,” could balance the recreational cannabis retail supply and further reinforce the market effects on curbing illegal production. But Bloomberg predicts it’s more likely small business owners will be squeezed out of the market since the new rules create obstacles ranging from financing to restrictions around land use and zoning. Canada is now the first large-scale economy to tap into the vast cannabis market. In countries like the U.S. and the Netherlands, where medical and recreational marijuana are gaining legal grounds, the New York Times noted market stakeholders and policymakers are keeping an eye on the implications of this legislation. 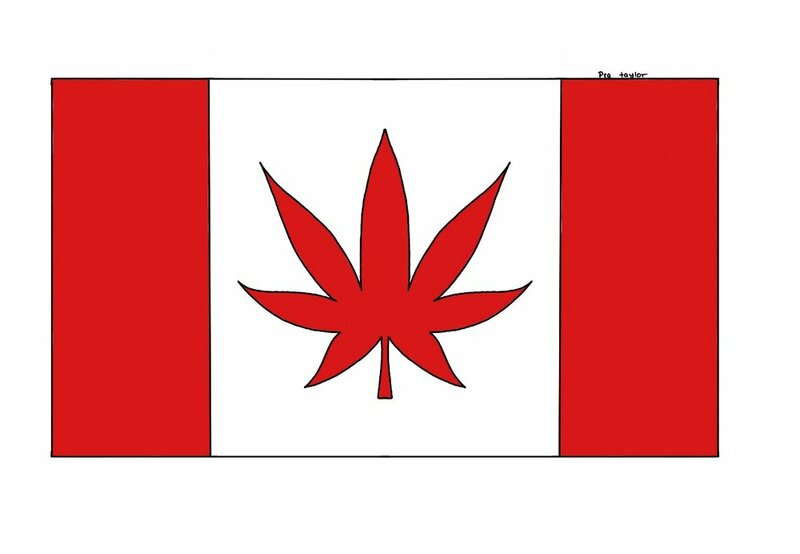 Bloomberg commented that the legalization “[touched] off on an investment boom and pushed up valuations of Canada’s cannabis producers” and the Canadian market will enjoy “a first-mover advantage” trading in the international market. Governments around the world are also paying attention. Canada can be considered a test run for the developed world to see if a tightly regulated market can mitigate marijuana-related crimes while also generating government revenue and jobs.